Who is Sampanna Ramesh Shelar? 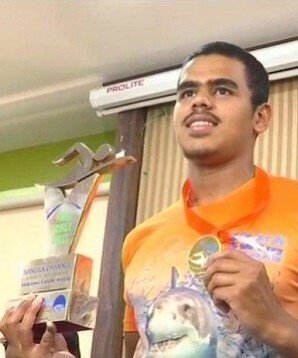 Sampanna Ramesh Shelar needs no introduction as he is now known for creating history in swimming. The young boy with stars in his eyes and the stubbornness to achieve a new feat helped him accomplish this seemingly impossible venture. He hails from Pune, the cultural city of Maharashtra, India. Born and brought up in the said city his childhood has mostly gone trying different sports with special interest in swimming. We will further explore his life and his achievement asunder. The swimming was just a usual choice like any other child who has to choose anything in his or her school days. So, when he was in Sinhgad Spring Dale Public School Vadgaon, he made his choice as swimming from the list of activities given in his primary school. That was his first interaction with this young boy who has stars in his eyes and much to celebrate. 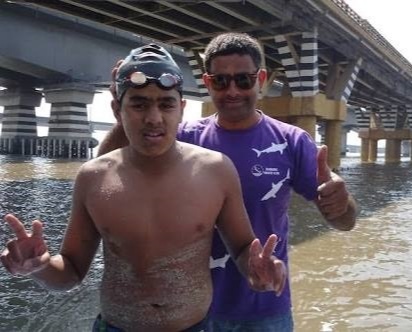 Since then it was a hide and seek thing for him to try swimming till he was picked up by the man called Jitendra Khasnin who soon turned his coach for the 13-year-old boy - Sampanna Ramesh Shelar. ​​​​Soon his coach realized that this boy has the talent to showcase something exceptional in his life. Hence Jitendra with his foresight started training this boy. Soon, he started participating in the known and unknown swimming competitions. He went beyond participating in different competitions and soon with his speed of 40 km per hour at Gujarat created a national record. Since then it was no looking back for him. The foresight of the coach and his vision to get something big for the young boy kept Sampanna away from participating in the Bangla Competition. According to his coach, he found the boy too promising and abler than boys of his age in the field of swimming. In fact, his coach had some other plans that can make the boy not just a winner but a young and lone achiever. Jitendra then planned the historical swimming not just covering Bangla Channel it single but swimming with a double-crossing. He then started his rigorous training at Shark Aquatic Club based in Pune to prepare the young boy for his maiden international record. What is the Bangla Channel? It is essential to understand what is the Bangla Channel then it becomes practical to understand the achievement of this young boy. Bangla Channel is a sea channel between the Island Jetty of Saint Martin to Teknaf in Bangladesh, which is separated at a distance of around 17km. After dropping the plan to participate in Bangla Competition, his preparation for his first solo ocean event soon started. So, when he was ready, the date of creating history was decided and finally on 13th April 2018, sharp at 5 am he commenced his journey to create history. 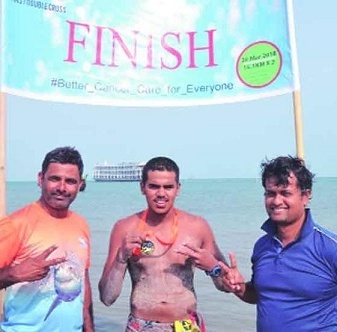 He took 9 hours and 10 minutes to swim the Bangla Channel twice thus turned the first young boy to accomplish this feat. In fact, no one other than this boy has tried this venture so he is the only one in this world to swim twice the said Bangla Channel. After this achievement, he was modest enough to give all the credit to his coach Jitendra from Pune. This has made his coach happy and proud of his student's achievement. The task of creating history with swimming the Bangla Channel twice is certainly not an easy nut to crack. The teenager faced lots of challenges, right from the fishes coming in his way while swimming in the Bay of Bengal to the high ride making things bad to worse and thus preventing him to compete with higher speed. This is not the end for Sampanna Ramesh Shelar. In fact, this is just the beginning for him as he is now eyeing the next competition, which is to be organized in Bhagirathi River for 81 km. So, he is to tread a long way in the field of swimming.